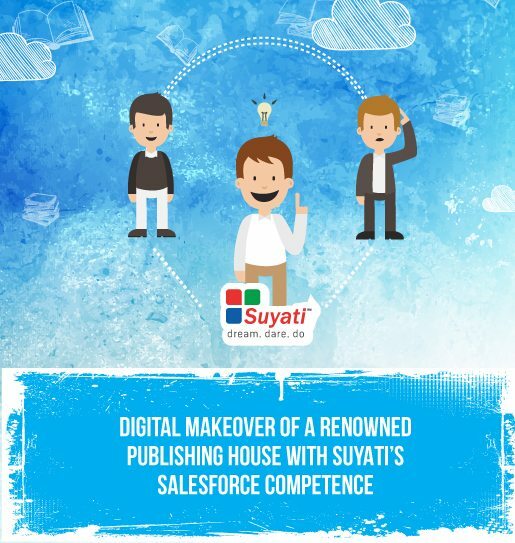 A global leader in self-publishing embraces digital transformation with Suyati’s Salesforce proficiency! A US-based self-publishing giant providing technology enabled publishing services to aspiring authors and wants to make publishing accessible and affordable to anyone, anywhere and anytime. The client’s business logic container is Salesforce CRM and all customer data gets into Salesforce from various web services. They required a strategic technology partner who can help them in establishing a unified business model to leverage the full potential of Salesforce to procure a strong berth in the self-publishing business. We have done this after identifying the commonalities of all the clients of the self-publishing giant and introduced a central message bus so that the sales reps and users will get a unified view of all data with the common architecture bus. We also introduced geo-location tracking features to find and plot freelancers and also improved the website experience with value-adds that helped the client get rid of hardcode and tight integrations. Go through our success story to learn more about Suyati’s emerging Salesforce powerhouse.